The Moscow Show Trials of 1936 and 1937 shocked and angered the philosopher, Sidney Hook. "The Moscow Trials were also a decisive turning point in my own intellectual and political development. I discovered the face of radical evil - as ugly and petrifying as anything the Fascists had revealed up to that time - in the visages of those who were convinced that they were men and women of good will. Although I had been severely critical of the political program of the Soviet Union under Stalin, I never suspected that he and the Soviet regime were prepared to violate every fundamental norm of human decency that had been woven into the texture of civilized life. It taught me that any conception of socialism that rejected the centrality of moral values was only an ideological disguise for totalitarianism. The upshot of the Moscow Trials affected my epistemology, too. I had been prepared to recognize that understanding the past was in part a function of our need to cope with the present and future, that rewriting history was in a sense a method of making it. But the realization that such a view easily led to the denial of objective historical truth, to the cynical view that not only is history written by the survivors but that historical truth is created by the survivors - which made untenable any distinction between historical fiction and truth-led me to rethink some aspects of my objective relativism. Because nothing was absolutely true and no one could know the whole truth about anything, it did not follow that it was impossible to establish any historical truth beyond a reasonable doubt. Were this to be denied, the foundations of law and society would ultimately collapse. Indeed, any statement about anything may have to be modified or withdrawn in the light of additional evidence, but only on the assumption that the additional evidence has not been manufactured." Sidney Hook went on to argue: "Despite the enormity of these offenses, all the defendants in the dock confessed to them with eagerness and at times went beyond the excoriations of the prosecutor in defaming themselves. This spectacular exercise in self-incrimination, unaccompanied by any expression of defiance or asseveration of basic principles, was unprecedented in the history of any previous Bolshevik political trial. Equally mystifying was the absence of any significant material evidence. Although there were references to several letters of Trotsky, allegedly giving specific instructions to the defendants to carry out their nefarious deeds, none was introduced into evidence. The most substantial piece of evidence was the Honduran passport of an individual who claimed to be an intermediary between Trotsky and the other defendants, which was presumably procured through the good offices of the Gestapo, although it was common knowledge that such passports could be purchased by anyone from Honduran consuls in Europe for a modest sum." 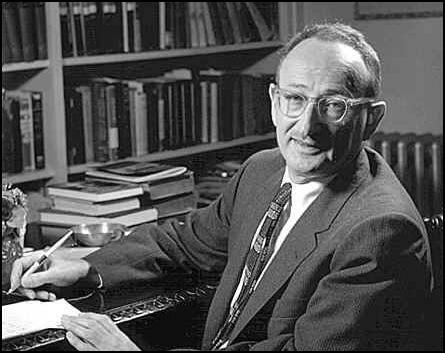 Sidney Hook was disturbed by the way liberals reacted to the Moscow Show Trials compared to the way that they behaved in response to events in Nazi Germany. Most journalists covering the trial were convinced that the confessions were statements of truth. The Observer reported: "It is futile to think the trial was staged and the charges trumped up. The government's case against the defendants (Zinoviev and Kamenev) is genuine." The The New Statesman commented: "Very likely there was a plot. We complain because, in the absence of independent witnesses, there is no way of knowing. It is their (Zinoviev and Kamenev) confession and decision to demand the death sentence for themselves that constitutes the mystery. If they had a hope of acquittal, why confess? If they were guilty of trying to murder Stalin and knew they would be shot in any case, why cringe and crawl instead of defiantly justifying their plot on revolutionary grounds? We would be glad to hear the explanation." 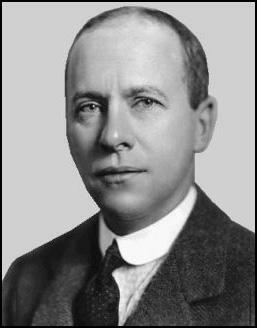 Walter Duranty was the New York Times journalist based in Moscow. He wrote in the The New Republic that while watching the trial he came to the conclusion "that the confessions are true". Based on these comments the editor of the journal argued: "Some commentators, writing at a long distance from the scene, profess doubt that the executed men (Zinoviev and Kamenev) were guilty. It is suggested that they may have participated in a piece of stage play for the sake of friends or members of their families, held by the Soviet government as hostages and to be set free in exchange for this sacrifice. We see no reason to accept any of these laboured hypotheses, or to take the trial in other than its face value. Foreign correspondents present at the trial pointed out that the stories of these sixteen defendants, covering a series of complicated happenings over nearly five years, corroborated each other to an extent that would be quite impossible if they were not substantially true. The defendants gave no evidence of having been coached, parroting confessions painfully memorized in advance, or of being under any sort of duress." Walter Duranty always underestimated the number killed during the Great Purge. As Sally J. Taylor, the author of Stalin's Apologist: Walter Duranty (1990) has pointed out: "As for the number of resulting casualties from the Great Purge, Duranty's estimates, which encompassed the years from 1936 to 1939, fell considerably short of other sources, a fact he himself admitted. Whereas the number of Party members arrested is usually put at just above one million, Duranty's own estimate was half this figure, and he neglected to mention that of those exiled into the forced labor camps of the GULAG, only a small percentage ever regained their freedom, as few as 50,000 by some estimates. As to those actually executed, reliable sources range from some 600,000 to one million, while Duranty maintained that only about 30,000 to 40,000 had been killed." James William Crowl, the author of Angels in Stalin's Paradise (1982 has argued: "Although Louis Fischer reserved judgment on the trials, Duranty vigorously defended them. According to him, Trotsky had created a spy network at the very time that Germany and Japan were spreading their own spy organizations in Russia. He explained that the two groups shared a hatred for Stalin, and fascist agents had cooperated with the Trotskyites in Kirov's assassination. The show-trials, Duranty insisted, had revealed the Trotskyite-fascist link beyond question. The trials showed just as clearly, he argued (on 14th July, 1937), that Stalin's arrest of thousands of these agents had spared the country from a wave of assassinations. Duranty charged that those who worried about the rights of the defendants or claimed that their confessions had been gained by drugs or torture, only served the interests of Germany and Japan." Sidney Hook, who had little sympathy for Trotskyists as a group, believing that they "were capable of doing precisely what I suspected the Stalinists of doing - if not on the same scale, at least in the same spirit. It was indeed ironical to find the Trotskyists, victims of the philosophy of dictatorship they had preached for years, blossoming out as partisans of democracy and tolerance." However, Hook believed that Leon Trotsky should be given political asylum in the United States: "The right to asylum was integral to the liberal tradition from the days of antiquity. It was shocking to find erstwhile liberals, still resolutely engaged in defending the right of asylum for victims of Nazi terror, either opposed or indifferent to the rights of asylum for victims of Stalin's terror. Of course more than the right of asylum was involved. There was the question of truth about the Russian Revolution itself." According to John Dewey, one of the commission members, Carleton Beals, was under the control of the Soviet Union. During the investigation he resigned: "My resignation went in the next morning. Dewey accused me of prejudging the case. This was false. I was merely passing judgment on the commission. He declared that I had not been inhibited in my questioning. He declared that I had the privilege of bringing in a minority report. My resignation was my minority report. How could I judge the guilt or innocence of Mr. Trotsky, if the commission's investigations were a fraud?" The Dewey Commission published its findings in the form of a 422-page book titled Not Guilty. Its conclusions asserted the innocence of all those condemned in the Moscow Trials. In its summary the commission wrote: "We find that Trotsky never instructed any of the accused or witnesses in the Moscow trials to enter into agreements with foreign powers against the Soviet Union. On the contrary, he has always uncompromisingly advocated the defense of the USSR. He has also been a most forthright ideological opponent of the fascism represented by the foreign powers with which he is accused of having conspired. On the basis of all the evidence we find that Trotsky never recommended, plotted, or attempted the restoration of capitalism in the USSR. On the contrary, he has always uncompromisingly opposed the restoration of capitalism in the Soviet Union and its existence anywhere else.... We therefore find the Moscow Trials to be frame-ups. We therefore find Trotsky and Sedov not guilty" . I was soon to be labeled by the official Communists, and by many whom they influenced, as one of the chiefs of the "Trotskyist-Fascist" band in America. I was more than half-convinced already that the Trotskyists were capable of doing precisely what I suspected the Stalinists of doing - if not on the same scale, at least in the same spirit. It was indeed ironical to find the Trotskyists, victims of the philosophy of dictatorship they had preached for years, blossoming out as partisans of democracy and tolerance, and in later years attracting to their ranks young revolutionary neophytes unable to see through the calculated ambiguity of their rhetoric. Why, then, did I wholeheartedly throw myself into the struggle, first to defend Trotsky's right to political asylum and, second, to help organize a commission before which he could present his case? Fundamentally, because the issues transcended the case of Trotsky and his followers. The right to asylum was integral to the liberal tradition from the days of antiquity. It was shocking to find erstwhile liberals, still resolutely engaged in defending the right of asylum for victims of Nazi terror, either opposed or indifferent to the rights of asylum for victims of Stalin's terror. Of course more than the right of asylum was involved. There was the question of truth about the Russian Revolution itself. Had most of the architects of "the great experiment" - which still enjoyed great prestige in the West, partly because of ignorance of the terrible events of the famine years, but mainly because of the domestic effects of the depression-been agents of the Western secret police? The notion was inherently incredible. If bizarre court proceedings were a rigamarole played out for some dark punitive purpose of Stalin and his regime, then the promise of socialism was revealed as a mockery of the great humanist ideals - as culminating in the reality of a hell on earth. It seemed to me that I would not be able to rest or devote myself with a full mind to anything else until the truth about the Moscow Trials was known, and I was still naive enough to believe that all, except the apparatchiky of the Communist Party, would support the effort to make the truth known. Herbert Solow emphatically reinforced Morrow's request, and I set out to procure the signatures of the group, issuing the call for the formation of the Committee for the Defense of Leon Trotsky. There were five signatures to the appeal. I procured three of them - Horace M. Kallen, Norman Thomas, and John Dewey. The other two were Devere Allen and Freda Kirchwey. I had no difficulty with Kallen who, not unlike some other liberals-Irwin Edman, for example-did not conceal his Schadenfreude at the ignoble outcome of the "great social experiment." To my surprise, I had more difficulty with Norman Thomas, who was still smarting from the deceptive factional practices of the Trotskyists. He too saw little difference in the programmatic commitments of Stalin and Trotsky, but he realized, at a time when the Communists were appealing to the constituency of the Socialist Party with demogogic appeals for a Popular Front, the importance of establishing the truth about the Trials. I almost did not get John Dewey's signature, oddly enough, because I had previously gotten his signature for scores of petitions for this and that. When I wrote him, he replied with a pathetic note asking for a respite from the public harassment of political pressure groups. He was tired and wanted to be left alone. He had no feeling one way or another about Trotsky and the Moscow Trials, but since he was the target of every group soliciting his support for good political causes, his weariness was understandable. The leaders of the American committee... realized that a tribunal consisting entirely of Trotsky sympathizers could scarcely achieve credibility on the international stage. What they needed was a group, and especially a chairman, who had an international reputation for fairness and whose integrity could be accepted by liberals, Soviet sympathizers, and intellectuals everywhere. Encouraged by the socialist philosopher Sidney Hook, their hopes soon fastened on Hook's dissertation adviser, the seventy-eight-year-old John Dewey, as the best possible choice for chair. After all, Dewey had been celebrated in the Soviet Union when he went there in 1928 and had been asked by the Socialist Party to run on their ticket for governor of New York. But he was quoted every week or so in the moderate New York Times; he was invited to the White House for dinner; he was the friend of powerful capitalists. This commission, like many millions of workers of city and country, of hand and brain, believes that no man should be condemned without a chance to defend himself.... The simple fact that we are here is evidence that conscience demands that Mr. Trotsky be not condemned before he has had full opportunity to present whatever evidence is in his possession in reply to the guilty verdict returned in a court where he was neither present nor represented. If Leon Trotsky is guilty of the acts with which he is charged, no condemnation can be too severe. In a little adobe house on a frowzy half-cobbled street of stagnant water, in the Mexican suburb of Coyacan , sits the former great war minister of the Soviet Union, the man who forged the Red army, who led it to the gates of Warsaw, who scourged the enemies of the nascent workers' republic with pitiless iron hand. Here in a foreign land, in a tiny alien hamlet, founded by the Aztecs long before Mexico City, the hero who, a few years ago, shook the destinies of the world, now, hour after hour, he been presenting the fading record of his achievements to a hastily composed commission of Americans who are supposed to investigate into the charges leveled against him in the famous Moscow terrorist trials. “My English is the weakest part of my defense,” he tells the commission on its preliminary visit to look over the locale where the proceedings were to be held - Trotsky's own residence, loaned to him by the outstanding pistol-toting Mexican painter, Diego Rivera, ramrod of the local Fourth International groups of which Trotsky is the head. It is a humble place, with double entrance doors, guarded by the police, who frisk all comers. The rooms encircle a sunny patio, with a purple bourgainvillaea, and cluttered with grinning stone idols. We are introduced to Trotsky. He is nervous, good-humored, vigorous, apparently supreme above defeat; and yet the crumbling walls of the old house, the gloomy reception room with all the street windows bricked up, emphasize the handicaps and futility of his position. Pathos hovers about his pround head with its wildly ruffled gray hair. “I want to weep,” remakrs one commissioner as we pass out into the frowzy street, “to think of him being here.” All, including Doctor Dewey, chairman of the investigatory commission, join in the chorus of sorrow over Trotsky's fallen star - except one commissioner, who sees the pathos of human change in less personal terms. At the trial, Trotsky is ever aware that he is on a stage. His answers are uttered now with quiet simplicity, occasionally with laughing condescension; or suddenly he shouts a frothing defiance at the Stalin regime, giving vent to magnificent bursts of eloquence. He is always ready to sacrifice complete honesty of reply to a quip of bon mot that will set the court laughing. But underneath it all he is an embittered man, holding his choleric disposition in check, not always successfully, only by superhuman restraint. Now and then his peevishness turns to open anger in which he shows his sharklike teeth - chiefly at the writer of this article - and then he is injudicious, his soft blue eyes take on a hard glitter, and one realizes it would not be pleasant to be at this man's mercy, and that, unlike the liberal American investigators, he hasn't a shred of interest himself in the civil liberties that they ostensibly are here to defend. His mind is a vast repository of memory and passion, its rapierlike sharpness dulled a trifle now by the alternating years of overweening power and the shattering bitterness of defeat and exile; above all, his mental faculties are blurred by a consuming lust of hate for Stalin, a furious uncontrollable venom which has its counterpart in something bordering on a persecution complex - all who disagree with him are bunched in the simple formula of G.P.U. agents, people “corrupted by the gold of Stalin.” This is not the first time that the feuds of mighty men have divided and shaken empires, although, possibly, Trotsky shakes the New York intelligentsia far more than he does the Soviet Union. A Saturday morning, clear, limpid. The great bowl of the Valley of Mexico shimmers in the early sun. The volcanoes rise, lofty, snow-clad, mysterious. The commission is on its way in a body for the opening hearing. “That is a marvelous opening statement, Doctor Dewey, of the aims and scope of the inquiry,” another commissioner remarks. “It's not mine. It's the work of the whole commission,” Dewey mumbles in absent-minded fashion. “It will be interesting to hear it,” remarked this commissioner, for I had not been consulted or shown the statement, giving out to the press the previous evening. “You must throw away your chewing gum,” Suzanne tells me sharply. I was trying to cut down on smoking. Three times Suzanne ordered me to throw away my gum. And so I learned why Suzanne wanted me to throw away my gum. I fingered my tie nervously. I had forgotten to ask Suzanne what color Trotsky preferred. And a this moment my horrified eyes fell upon Frieda Rivera, wife of the eminent painter. She had pushed into a seat right against the railing that separated the court from the spectators and right in front of Trotsky, and not only was she chewing gum, she was repeatedly drawing it out of her mouth in a long thread. The first sessions opened. Doctor Dewey's statement. Trotsky's statement. Mr. Goldman, Trotsky's lawyer, began the presentation of the defense case. Mr. Trotsky has rehearsed his answer. He has to be repeatedly warned not to begin answering before Goldman finished each question. The hearings are decorous, restrained. There is, on the part of the rest of the commission, an air of hushed adoration for the master. Suzanne, her head on her hand, gazes steadfastly, her eyes filled with expectant worship. Benjamin Stolberg - mustache, face, hair all one ash-gray color - nods, chuckles, snorts understandingly at each of Trotsky's sallies. Mr. Otto Ruehle, the former Reichstag member, who knows no English, never lets his eyes stray from the master's face. Doctor Dewey stares abstractedly, quizzically, once or twice asks a very, very respectful question. Everyone is so deucedly rapt. There, at the back, towers Diego Rivera. When he is not also snoring, his quick froglike eyes move restlessly, or he busily sketches cartoons. A big peacock plume adorns his large sombrero. His wife provides the fashion note of the trial. Each day she appears in a new Indian costume with magnificent shawls and heavy silver Tarascan jewelry. She rarely sits; she perches. She perches on the arms of chairs, on tables, on the veranda railing. Walker is said to be a long-standing and simon-pure Trotskyite. This commissioner has been able to elicit no information from his fellow members as to why, when or how Walker was appointed, except that “he's a good man,” and he seems to be. He has been in Mexico two months ahead of the commission, mostly in constant conference with Trotsky. That seems a bit odd to this commissioner. Dewey, Stolberg, Suzanne La Follette, the commission's lawyer, John Finerty, along with the secretarial staff, live and eat at Walker's home; they travel to and from the sessions in Walker's or the commission's hired car. Ruehle, a resident of Mexico, has his own apartment. I and my wife were left to shift for ourselves, and live apart from the commission in a hotel, with little knowledge of the inner activities of the group. I hire my own taxicabs, and it is a long way out to Coyacan, and expensive. The first sessions drones on. This commissioner, who has been told that questions should be limited at this stage, at last is unable to stand the worshipful atmosphere. “Can you prove that point?” he unexpectedly barks at Trotsky. The court jerks into startled surprise. Trotsky cranes his neck to look at the interlocutor, who has been put at the end of the table, out of the range of his view. Trotsky evidently can't prove it. His archives on this point were stolen by the Norwegian Fascists, but hemade an affidavit, and various journalists have corroborated this. The journalists turn out to be Trotsky's own partisans. But Trotsky adds that the G. P. U. press—how he loves to snarl these initials!--proves his point. He offers no citations, though usually he is copious with them. The commissioner subsides. The glowering eyes of the whole courtroom are upon him, including those of the members. At the afternoon session, Mr. John Finerty, lawyer for the commission, has arrived by plane. He is a tall, thin, red-brown Irishman, dressed in a red-brown suit, with handsome tie and flowing silk kerchief. He wants to know where one gets a Turkish bath and a masseur. Gastronomically troubled by the altitude, he is living on tomato juice. He is even gentler with Trotsky than the commissioners, and hastens at every opportunity to put “alleged” into Trotsky's mouth, so the latter's record will read correctly; a constant usurping of the attributes of Mr. Goldman, the defense attorney. After each utterance, Finerty's large liquid eyes look about with hopeful expectancy to see how his words have been taken. The afternoon session drones on. Trotsky is telling his life history. Mid-afternoon, the defense announces that this preliminary sketch has been completed. Dewey asks a few questions. . . .
Stolberg gravely asks a few erudite, very respectful interrogations on dialectics and the tactical relations between Trotsky and Lenin. Trotsky understood the questions perfectly. Stolberg had hurried out to the master's house an hour ahead of the other commissioners. “Have you any questions, Miss La Folette?” Dewey asks. Suzanne's question is so formulated as to give Trotsky a chance to spread his plumes. After recess, Dewey tells Goldman to proceed with his next topic. But, to everyone's surprise, it seems that Ruehle has some questions; Commissioner Beals also has some. My questions, I announce, are very elementary. I inquire concerning Trotsky's archives. He hems and haws, declines to state their whereabouts - information eagerly sought by the hateful G. P. U. - but finally offers to disclose the matter in secret session. (He had offered to put them in the hands of the commission.) At any event, the archives are not in Mexico; most of his documents here are merely uncertified copies. What assurance, I ask, has the commission that if he is guilty he has not, in the months since the Moscow trials, destroyed all the evidence inimical to himself? The structure of the archives disproves such a thesis; he claims; they reflect the personality of the man. Besides, he will refute all charges with the documents he has brought with him from Europe for that purpose. I question him on being a German agent, though several other commissioners are buzzing in Dewey's ear and pulling his sleeve, to get me suppressed. Trotsky has refuted the charge by a quotation from Lenin. But Lenin, was he not of Trotsky's own party? Is that good proof? Brest-Litovsk. Trotsky admits that he was then charged with a conspiracy with Prussian militarism, but that he then put the salvation of the Socialist state above territorial integrity of Russia - a tactic precisely to be able to better fight Prussian militarism. “I would be only a cheap adventurer,” exploded Trotsky, and he launched into a long-winded discussion of how he believed the only method of overthrowing Stalin was through the education of the workers. The session is adjourned. Stolberg retires into a back room, biting his mustache furiously. “Don't you feel that my questions were necessary?” I ask him gently. The trial had its poignant moments. Trotsky told vividly of the persecution of his family - all of them apparently engaged in secret political activities - how his sister committed suicide in Paris because the Soviets withdrew her citizenship. Trotsky's eyes were filled with moisture, and it was one of the few times he did not burst into a diatribe against Stalin and the G. P. U. agents. At my side, Stolberg was furiously scribbling on a pad in a frame of sketched flowers, “I want to bawl - I want to bawl... ” During the recess following this scene, the commissioners hotly berated Stalin's persecutions; Dewey was especially wrothful. Saturday and Sunday the other commissioners consulted the procedure to be followed in the trial. This commissioner was not advised. Miss La Follette, the secretary, says she called him at his hotel Sunday morning, but he was there all day and received no telephone call and found no message. Monday I surprised the court with an independent statement of my position and what I considered the proper aims of our work - that I had no connections with either Trotsky or the Stalin faction, that our work should not be improperly utilized by either. I pointed out a technical mistake in Dewey's opening statements, indicated my disagreement on various points. Dewey leaped to his feet to declare that I had arrived in Mexico City after commission's statement had been prepared and that there had been no opportunity to show it to me. The truth was that I had been in Mexico, in touch with the commission, two days before the opening sessions, during which time the Dewey statement had been given to the press. Mr. Finerty leaped to his feet, as usual, to do Goldman's work for him; to attack me for my correction of the commission's statement on the matter of Trotsky's extradition. I merely replied that I was not interested in being a party to the commission's errors. At the afternoon session, Dewey read an apology for the rest of the commission. I replied that I was not concerned about the commission having ignored me, but merely hoped that it would still accept my constructive suggestions..
At the recess of the morning's session, I was informed by the rest of the commission that it had decided to abandon the original plan to take up the various aspects of the case topically and cross-examine on each section of the evidence, general cross-examination to come later. There was no time for such a method, I was informed, and so Goldman would present his defense in toto. Thereupon each commissioner was to draw up a line of cross-examination to be submitted to Mr. Finerty. Commissioners were to ask only such questions as fitted the scheme of the cross examination - preferably through Mr. Finerty - which arose in their minds at the moment. I had not been consulted regarding the original form of the procedure, nor was I even told of the sequence of topics, which was making it difficult to prepare any sort of intelligent examination of Trotsky on my part. The new plan quite smothered my liberty of action on the commission. But worse than that, it would defeat honest investigation. We could not run the investigation like a railroad train - on schedule. By leaving the entire cross-examination until the end, the original defense of Trotsky would be lost sight of, the points at issue dulled and forgotten, even with the best of note-taking. No transcript of the trial was to be available until long after the sessions ended. This made our work very blind, and it also made it impossible to guarantee a correct record. Nor was I content to let Mr. Finerty handle all the cross-examination. He had already shown himself pathetically gentle with Trotsky, he had hastened to put favorable words into Trotsky's mouth, and seemed to have little grasp of the case. Despite the limitation put on our questioning, I did, as did also other members of the commission, ask a few questions. There were literally hundreds of queries that, as the case dragged on, I felt should be asked. But to have done so would merely have made me a nuisance in the eyes of the commission, invariably hostile toward my line of questioning, which almost invariably they sought to interrupt. Once, at a sharp interrogatory of Trotsky, Ruehle shuddered at my elbow “Sehr schade! Sehr schade!” How sad! How sad that I should speak in a peremptory tone to the master! Thereafter, every time I asked a question, Ruehle would writher in his seat and emit a series of low groans, like a man in pain. For five and a half days, Goldman presented Trotsky's defense. Late Friday morning, Finerty began his cross-examination. It consisted that first day, of a confused and elementary cross-examination of Trotsky on the history of the Russian revolution. When he got through, Trotsky positively had wings on his shoulders. A handful of questioned were asked Trotsky on terrorism and the one-party system. Several questions were asked regarding Piatakov's supposed trip to Oslo to see Trotsky. The Romm case was ignored completely. Neither the details presented by Trotsky in his defense nor the numerous crucial points of the transcript of the Moscow trials were adequately examined. For all practical purposes, Finerty merely continued Goldman's defense of Trotsky; he filled in the gaps left by Goldman in Trotsky's defense. It must have been somewhat disillusioning, even to Trotsky. His table was piled high with books and papers which had not been presented in his defense, but which, apparently, he had expected to find useful in refuting the cross-examination. He had practically no use for any of this material. “Why should I ask questions?” was my rejoinder. “The ones I have do not fit into the arbitrary scheme the commission has accepted for the cross-examination. I do not wish to give questions to Finery to have him garble them.” Even Trotsky's official translator came to me to get me to ask some questions with some real import, and later, in the courtroom, passed me several good ones. The whole atmosphere of the trial had become that of a chummy clubroom, a pink-tea-party with everyone uttering sweet platitudes. The day was now wanin and there would be only half a day on the morrow to get at the truth of falsity of Trotsky's five and a half days of defense. But I was not to be a party even to that half day. Under the repeated urging of the commission, which had hitherto been so hostile to my questioning, I decided to jump into the arena once more with a line of questioning to show Trotsky's secret relations with the Fourth International, the underground contacts with various groups in Italy, Germany and the Soviet Union. Trotsky, of course, had steadfastly denied having had any contacts whatsoever, save for half a dozen letters, with persons of groups in Russia since about 1930. This was hard to swallow. To lay the basis for this questioning, I had to go into Trotsky's previous secret relations with the outside revolutionary groups when he was a part of the Soviet state. I quizzed him on the secret activities of Borodin in Mexico in 1919-20. The result was a violent explosion. Trotsky called my informants liars, and completely lost his temper. My informant, among others, I advised Trotsky, was Borodin himself. The net result of the labors of the commission? No adequate cross-examination, no examination of the Trotsky archives. A scant day and a half of questioning of Trotsky; mostly about the history of the Russian revolution, his relations with Lenin—this with an eye to his defense against Stalin charges—a lot of question on dialectics and a few scattered unorganized question on terrorism and the Piatakov incident. 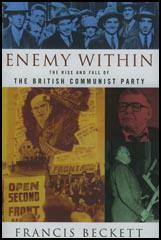 The only new documents of any moment were those covering the alleged Romm and Piatakov contacts with Trotsky. Trotsky had already, in the press, on the platform and in pamphlets, pretty well blown up the Soviet case on those two points. Unfortunately, Romm and Piatakov were not available for further cross-examination, so that little has been gained by such refutation. Trotsky's new documents were not overilluminating. One, for instance, was the sworn statement of a hotel-keeper that a party of five persons had stopped at his establishment on the date Trotsky claimed—no names, no registration, no official passport numbers. Trotsky's party was of six persons, not five. Aside from such matters, the evidence submitted by Trotsky consisted of his published articles and books. These could have been bought in New York or consulted at the public library without the commission having been put to the expense of such a fruitless trip. Its work is not done. But no amount of fumbling over documents in New York can correct the omissions and errors of its Mexican expedition. This commissioner, on accepting membership, was told that the Mexican commission would include Doctor Beard, John Chamberlain and Louis Adamic. None of them were present on the Mexican scene. I was able to get not satisfaction regarding the future personnel of the larger New York commission, nor how it would be appointed—whether by the commission itself or the Committee for the Defense of Leon Trotsky. From the press I learned that seven other commissions were at work in Europe, and that these would send representatives to form part of the larger commission. I was unable to find out how these European commissions had been created, who were members of them. I suspected them of being small cliques of Trotsky's own followers. I was unable to put my seal of approval on the work of our commission in Mexico. I did not wish my name used merely as a sounding board for the doctrines of Trotsky and his followers. Nor did I care to participate in the work of the larger organization, whose methods were not revealed to me, the personnel of which was still a mystery to me. Doubtless, considerable information will be scraped together. But if the commission in Mexico is an example, the selection of the facts will be biased, and their interpretation will mean nothing if trusted to a purely pro-Trotsky clique. As for me, a sadder and wiser man, I say, a plague on both their houses. Despite the intense pressure of the Stalinists, who threatened and hounded members of the defense committee, supporters of Trotsky assembled a commission of inquiry. 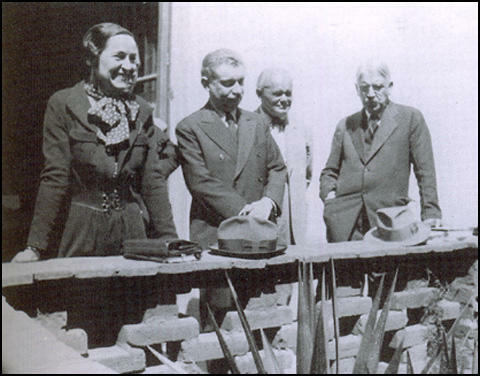 Among those agreeing to participate were James T. Farrell, author of the Studs Lonigan trilogy; Suzanne La Follette, author and journalist; John R. Chamberlain, former literary critic for the New York Times; Wendelin Thomas, leader of the Wilhelmshaven sailor's revolt of November 7, 1918; Carlo Tresca, American anarchosyndicalist leader; Otto Ruehle, former Social Democratic member of the German Reichstag and biographer of Karl Marx; Alfred Rosmer, a former leader of the French Communist Party; Francisco Zamora, Mexican journalist; Benjamin Stolberg, American author and journalist; and Edward Alsworth Ross, American educator and author. The biggest breakthrough came when John Dewey, then age 78, agreed to chair the committee. Unlike the majority of US liberal intellectuals, who, as Trotsky observed, found it easier to rest on the bureaucracy than on the truth, Dewey insisted on Trotsky's right to defend himself against the allegations presented at the Moscow Trials. Over the opposition of his family, who were concerned about his safety, Dewey agreed to go to Mexico and head a subcommission to take testimony from Trotsky. Those on the panel included La Follette, Ruehle and Stolberg. John F. Finerty, the lawyer for Sacco and Vanzetti, served as counsel for the subcommission. Carlton Beals, an American journalist, later shown to be a GPU plant, joined the panel, replacing some better known figures who could not attend due to last minute conflicts. After the Mexican Stalinists threatened to stage demonstrations opposing the hearing, the subcommission decided, for security reasons, to hold its public sessions at the home of Diego Rivera, the famous Mexican muralist and friend of Trotsky. The subcommission challenged the Stalinists to attend the hearings and question Trotsky. It sent invitations to the American Communist Party, the Mexican Communist Party, the Soviet ambassador to the United States and to Vicente Lombardo Toledano, the leading Stalinist trade union official in Mexico. All declined. The hearings opened on April 10 and lasted seven days. Trotsky set himself the task of not simply raising reasonable doubt as to the truth of Stalin's charges, but proving his complete innocence. In the midst of the hearings Trotsky had to deal with a provocation staged by Beals. Out of the blue Beals asked Trotsky about his relations with a M. Borodin, who, he alleged, had gone to Mexico in 1919 on Trotsky's instructions to "foment revolution." With this line of questioning Beals intended to poison Trotsky's relations with the Mexican government and jeopardize his asylum. Trotsky declared that Beals's informant was a liar and demanded he name his source. The next day Beals resigned from the subcommission, saying its proceedings were "not a truly serious investigation of the charges." Dewey and the other commissioners rejected Beals's assertion and the hearings continued without further incident. Later Beals published a lying account of the proceedings in the Mexican magazine Futuro. During the 13 sessions Trotsky summoned every intellectual resource to produce a damning exposé of the Moscow frame-up. His feat was doubly extraordinary given that he chose to speak in English, rather than his native Russian. The printed record of Trotsky's testimony came to some 600 pages. He gave detailed and precise answers to an enormous variety of questions covering every subject from his personal biography to the origins of the Soviet bureaucracy and questions of revolutionary policy. He traced in detail his movements while in exile, demonstrating through documents and letters the impossibility of his having met with Holtzman, Piatakov or any of the alleged terrorists, as claimed in the "confessions." Trotsky took apart the testimony of the defendants, showing that their artificial and contradictory character revealed the hand of the GPU. Trotsky's testimony demonstrated the absurdity of the Kremlin's charge that he ordered assassinations and sabotage. He proved that throughout his life he had opposed individual terrorism. In particular he refuted the charge that he sought the death of Stalin. Trotsky cited documents which explicitly rejected such a policy. In July 1936 the world Trotskyist movement adopted a statement which in part declared, "True to the traditions of Marxism, the Fourth International decisively rejects individual terror, as it does all other means of political adventurism. The bureaucracy can only be smashed by means of the goal-conscious movement of the masses against the usurpers, parasites and oppressors" (The Case of Leon Trotsky [New York: Merit Publishers, 1968], page 272). Trotsky's closing speech to the subcommission lasted four hours. In it he dissected all the lies and slanders of the Stalinists and their supporters. He answered as well the arguments of those who, while disbelieving the Stalinist charges, were hesitant about drawing their implications. The noted historian Charles Beard, for example, declined to participate on the Dewey Commission on the grounds that it was impossible to prove a negative. Trotsky replied, that what was involved was not simply proving a negative, but establishing a positive fact, "namely that Stalin did organize the greatest frame-up in human history" (Ibid., p.466). As Trotsky observed, the artificial character of the confessions bore all the marks of the totalitarian regime that extracted them. The accused, according to their words, had engaged in a wide ranging conspiracy to assassinate Soviet leaders and sabotage industry, involving hundreds if not thousands of people over a period of five years or more. Why were the authorities not able to introduce a single piece of physical evidence, not one document, corroborating the testimony? Trotsky noted that it was unprecedented in the history of the revolutionary and counterrevolutionary movements alike for veteran conspirators to confess en masse to terrifying crimes, without their existing a shred of evidence. "How do criminals who yesterday assassinated leaders, shattered industry, prepared war and the dismemberment of the country, today so docilely sing the Prosecutor's tune? "These two fundamental aspects of the Moscow trials-the absence of evidence and the epidemic character of the confessions-can but arouse suspicion in every thinking man" (Ibid., page 481). Trotsky noted that the Moscow Trial charges contained a glaring contradiction not recognized by the prosecution. While the Stalinists insisted that Trotsky had no political support inside the Soviet Union, the terrorist conspiracies he organized, if they existed, must have involved thousands. Take the allegations of sabotage. One of the defendants, J. A. Kniazev, chief of the Southern Railways, "confessed" having organized 3,500 train wrecks in the period 1935-36, an average of five per day! Similar allegations were made in relation to the mines and chemical industry. Trotsky remarked ironically that his supporters must have infiltrated Soviet industry from top to bottom to accomplish such havoc. Trotsky scorned those writers and academics who had put their talents at the disposal of the Stalinist bureaucracy. "An indirect but very important result of the work of the Commission will be, cleansing the radical ranks of the 'Left' sycophants, political parasites, 'revolutionary' courtiers, or those gentlemen who remain Friends of the Soviet Union insofar as they are friends of the Soviet State Publishing House or ordinary pensioners of the GPU," he said (Ibid., page 567-68). In conclusion, he paid tribute to the committee and its chairman John Dewey. "Esteemed commissioners! The experience of my life, in which there has been no lack either of successes or of failures, has not only not destroyed my faith in the clear, bright future of mankind, but, on the contrary, has given it an indestructible temper. This faith in reason, in truth, in human solidarity, which at the age of eighteen I took with me into the workers' quarters of the provincial Russian town of Nikolaiev-this faith I have preserved fully and completely. It has become more mature, but not less ardent. In the very fact of your Commission's formation-in the fact that, at its head, is a man of unshakable moral authority, a man who by virtue of his age should have the right to remain outside of the skirmishes in the political arena-in this fact I see a new and truly magnificent reinforcement of the revolutionary optimism which constitutes the fundamental element of my life"(Ibid., page 584-85). The speech produced such an impression that at its conclusion those in the hearing chamber burst into spontaneous applause. At a reception following the hearing, Albert Glotzer, the reporter for the commission, recalled the following incident. "During the convivial interchanges between the people that crowded the main rooms in the house, a great laughter broke out in one corner of the large room where Dewey and Trotsky were conversing. They were surrounded by several people listening to their conversations. I asked Frankel what happened in the corner. He smiled, 'Dewey said to Trotsky, 'if all Communists were like you I would be a Communist.' And Trotsky replied 'if all liberals were like you, I would be a liberal.' This banter expressed the respect that the two principal people at the hearings had for each other" (Albert Glotzer, Trotsky: Memoir and Critique [New York: Prometheus Books, 1989], page 271). The Dewey Commission took nine months to complete its work. As its summation it published a 422-page book titled Not Guilty. Its conclusions not only established the innocence of Trotsky and all those condemned in the Moscow Trials, but the guilt of Stalin as the organizer of a monstrous frame-up. In its summary the commission wrote: "Independent of extrinsic evidence, the Commission finds: (1) That the conduct of the Moscow Trials was such as to convince any unprejudiced person that no attempt was made to ascertain the truth. "(2) While confessions are necessarily entitled to the most serious consideration, the confessions themselves contain such inherent improbabilities as to convince the Commission that they do not represent the truth, irrespective of any means used to obtain them." (Leon Trotsky, Stalin's Frame-up System and the Moscow Trials [New York: Pioneer Publishers, 1950], pages 129). "(19) We find that Trotsky never instructed any of the accused or witnesses in the Moscow trials to enter into agreements with foreign powers against the Soviet Union. On the contrary, he has always uncompromisingly advocated the defense of the USSR. He has also been a most forthright ideological opponent of the fascism represented by the foreign powers with which he is accused of having conspired. "(20) On the basis of all the evidence we find that Trotsky never recommended, plotted, or attempted the restoration of capitalism in the USSR. On the contrary, he has always uncompromisingly opposed the restoration of capitalism in the Soviet Union and its existence anywhere else. "(21) We find that the Prosecutor fantastically falsified Trotsky's role before, during and after the October Revolution." The commission concluded: "We therefore find the Moscow Trials to be frame-ups. We therefore find Trotsky and Sedov not guilty" (Ibid., page 131). History has fully vindicated this verdict. Before it collapsed the Stalinist regime in the Soviet Union was forced to rehabilitate all those executed during the Moscow Trials. The name of Trotsky, however, the one who correctly warned of the liquidation of the USSR by the bureaucracy, remained officially proscribed until the end. The great importance of the Dewey Commission extends beyond the fact that it cleared the name of Trotsky and the Old Bolsheviks, because the trials represented not just an unjust indictment of individuals, but a libel against socialism itself. For the past 60 years capitalism has attempted, with some success, to utilize the Moscow Trials and the other crimes carried out by Stalin in the name of socialism to discredit the legitimacy of revolutionary change. 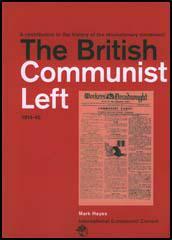 The establishment of the Dewey Commission represented an important advance by the Trotskyist movement in exposing the lies of Stalinism and its false identification with Marxism. For that reason a thorough familiarity with the unmasking of the Moscow Trials is vital for anyone seriously interested in the socialist perspective. As Trotsky predicted the struggle to establish historical truth has been long and arduous. However, if history demonstrates anything, it is the power of correct ideas whose time has come.